I have been sitting here for quite some time now trying to think of interesting things to say about Lemmy, and I have been met with a surprising amount of difficulty. Lemmy is an old-fashioned sparkling lemonade beverage that has, according to the bottle, been around since 1939. And...well...that's about it. There's really not much to say about it, other than the fact that it has one of the most horrifying product mascots that I've ever seen on a beverage label. 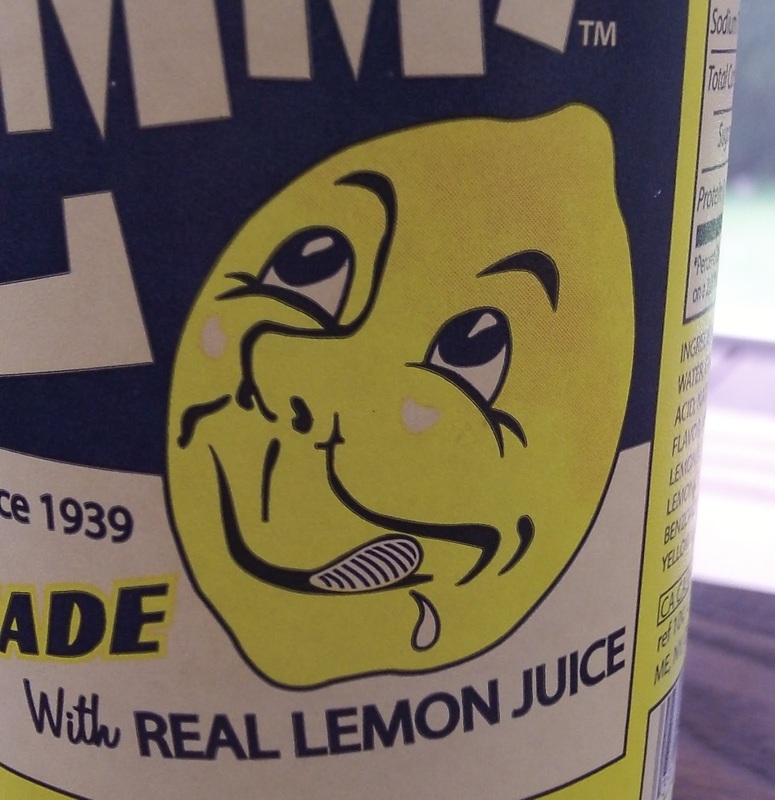 I mean, maybe this sort of thing was effective back in the 1940's, and I understand the whole "retro" appeal, but the dated depiction of Lemmy's ravenous, sentient lemon is really just sort of creepy. As far as the taste goes, Lemmy really isn't bad. But it really isn't good, either. The taste is easy and light, and the level of sweetness is actually surprisingly mild for an "old fashioned" soda. But despite seeming to have many of the qualities that normally make a soft drink appealing, there is just something about Lemmy that falls flat. In fact, it is almost completely forgettable. There is nothing in particular that makes Lemmy stand out, and the flavor is so light that it seems almost a little bit unambitious. The lemon flavor is there, but only in pure taste; there are no other elements of natural lemon juice (sourness, acidity, tart sweetness, etc.) that I have come to enjoy in these sorts of beverages. Perhaps my lack of interest in Lemmy is due in part to the fact that I have been drinking so many strong, flavorful citrus drinks as of late, but I think that the bigger issue here is really that Lemmy is just too mild for my tastes. Like I've already said, there is nothing wrong with Lemmy. It's not bad, and the very light flavor may appeal to those who want the taste of lemon without some of the bolder qualities. But there's no real reason to buy it over anything else. To me, the flavor was not strong enough to justify the sugar and calories. I would rather wait for something more flavorful and just drink water in the meantime. But despite all of this, I would still say that it's definitely worth a try. You may like it a lot better than I did. Just...try not to stare at the label for too long. It will consume you. I haven't tasted Lemmy since 1960. I liked it but I couldn't only get a bottle while visiting my great uncle's farm as a kid. It was sold at the Shortville (WI) General Store about 10 miles southeast of Neillsville. The place had a tin sign on the outside wall with the mascot saying "Lemme have a Lemmy." The place also sold Sundrop Cola (clear as 7Up) and Kickapoo Joy Juice (super sweet citrus). Haven't seen any of them since 1960.